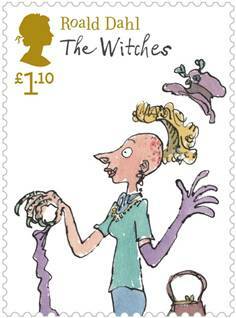 First of all, how darling are these?! 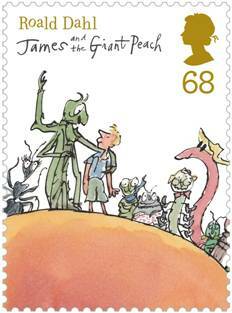 These are UK Royal Mail stamps to celebrate Roald Dahl and his fabulous books, as well as Quentin Blake's delicious illustrations; I don't think anything would make me smile more than a friendly letter coming through the door with one of these attached, and yay for anything that increases the ubiquity of books or writers, or illustrators too, for that matter. 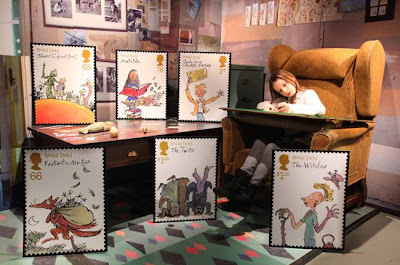 There's an accompanying competiton on Royal Mail's page on Facebook, where you can win a Roald Dahl boxset, a pop-up book of Charlie and the Chocolate Factory and a Roald Dahl presentation pack. 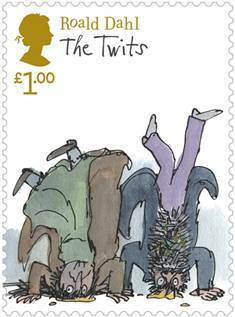 The stamps and other prizes are also available from the UK Royal Mail shop and on eBay, and I hope they do very well indeed. 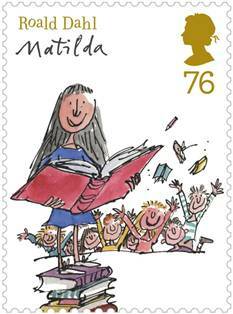 How small must this girl be for the stamps to be that large?! Straight off the bat, I'm particularly interested in 'The Somnabulist', 'The Sisters Brothers' and 'Rules of Civility', especially because 'Amor Towles' sounds like a made-up name... (sorry). Here's my review of Michelle Lovric's 'The Book of Human Skin', which was my pick from the TV Book Club 2011 summer series. Thirdly, one of my posts has been featured in the Third Sunday Blog Carnival this month, which is totally exciting, not least because I'm in the company of some excellent blogs. My faves are probably the first poetry post - Jessica Davies' #110 - which is absolutely STUNNING, and Rolando's Celebrating Writers and their Cats!, which made me chuckle. Jean Cocteau's cat does not looks happy.